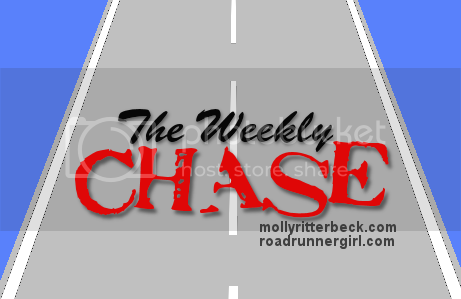 Road Runner Girl: The Weekly Chase #5! Goal #1: Read a book at least 15 minutes each day (challenge goal). Boom! I finally did this! Yay! Goal #2: Schedule the massage (challenge goal). Fail! Once again...I forgot to do this! I've got to do this because it expires on Valentine's Day!!! Goal #4: Return to training! Yep! I got 2 runs in last week...and that was my goal! I got a 3 miler and a 9 miler in! Yay! Goal #5: Get my Disney recap written and posted. Yes! It took me three recaps but I got all of my Disney recaps done...the expo, the marathon part 1, and the marathon part 2! Goal #1: Schedule that massage (challenge goal). Someone please remind me to do this this week! Because I am obviously having a hard time remembering!!! Goal #3: Get in 3 runs this week. I need to run 10 miles this weekend and I want to get in at least 2 short runs this week. Goal #4: Get race literature started. The running group that I am an officer for...Sole2Soul Sisters...is putting on our 3rd annual race on February 9th. One of my jobs is the race literature. I need to at least start on it this week and if I get it completed then that's a bonus! Goal #5: Post my picture for January for #goalgetter2013. It's the end of the month and time to post my goal for this month on Instagram! So that's my plan for this week! Time to get those goals done!! !